It is known that the best way to encourage exercise is by providing nice incentives instead of mere persuasion. So to promote exercise ahead of the Winter Olympic games in Russia, an amazing new ticket machine has been introduced! 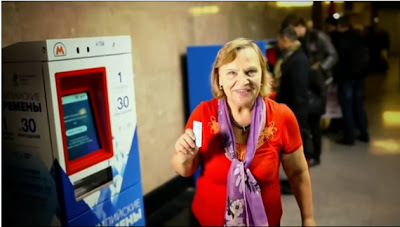 It was installed at the Moscow subway station and it only accepts exercise as currency. 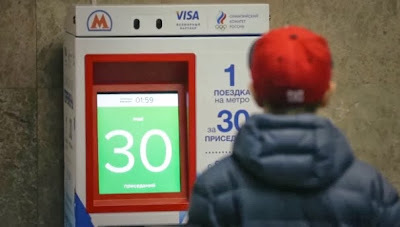 People have to do 30 squats in two minutes in exchange for a one-trip ticket, that is worth about 30 rubles (0.92$). So that means one ruble per squat, which is a great deal. A blue sticker on the floor signals where to stand and it is placed directly next to the ordinary machines. The camera then follows the different reactions as people figure out it's not a joke, and they really are about to get a free ride in exchange for shedding a bit of weight. From young children to adults, everyone has a go, and the smile at the end must make the 30 squats worth it. People crowd around to watch the daring fitness fanatics have a go, and soon form a queue to try it themselves. The project is part of the Russian Olympic Committee's efforts to "add elements of sport into daily life” and I think it’s a great initiative that should be introduced in other countries as well. By the way, you can watch the original video here.